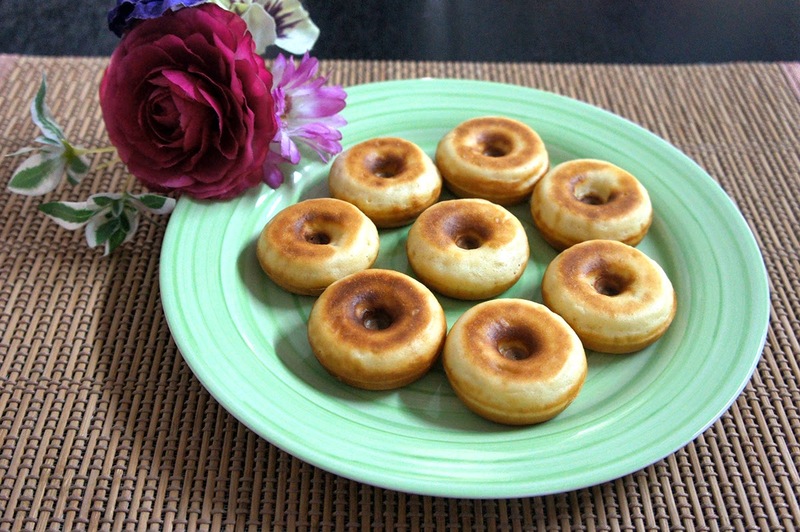 I had gotten bought a mini donut maker about a year (or more) ago and have yet to try making mini donuts. 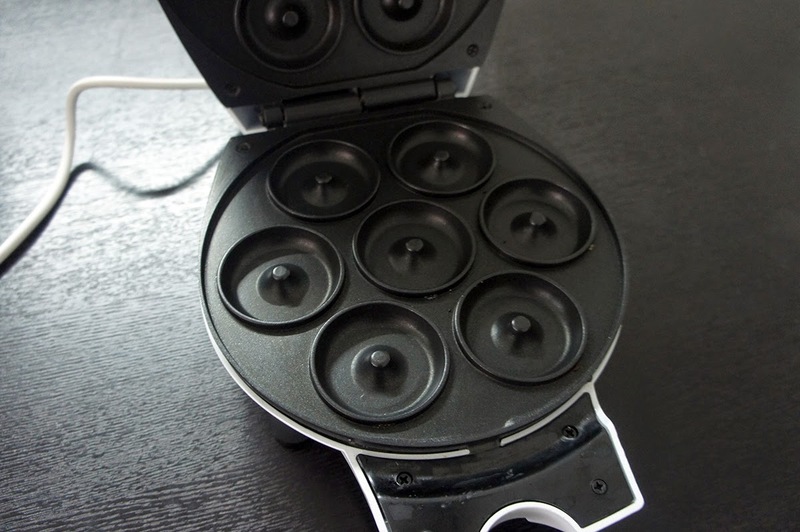 The machine makes 7 mini donuts at one time, and it is pretty easy to use. I'm unable to find more information about the machine, guess it's really that old and outdated. Haha.. Here's the more successful looking batch of minis. 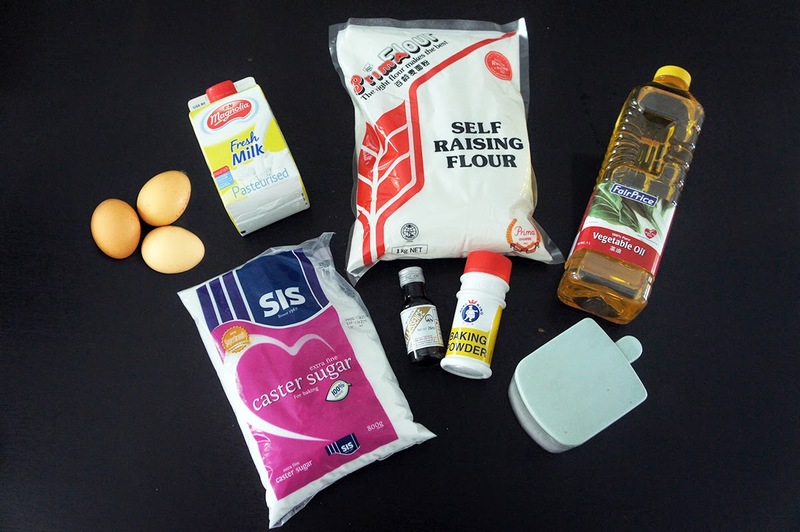 Place flour, baking powder, sugar, vanilla sugar or vanilla essence and salt into a mixing bowl. 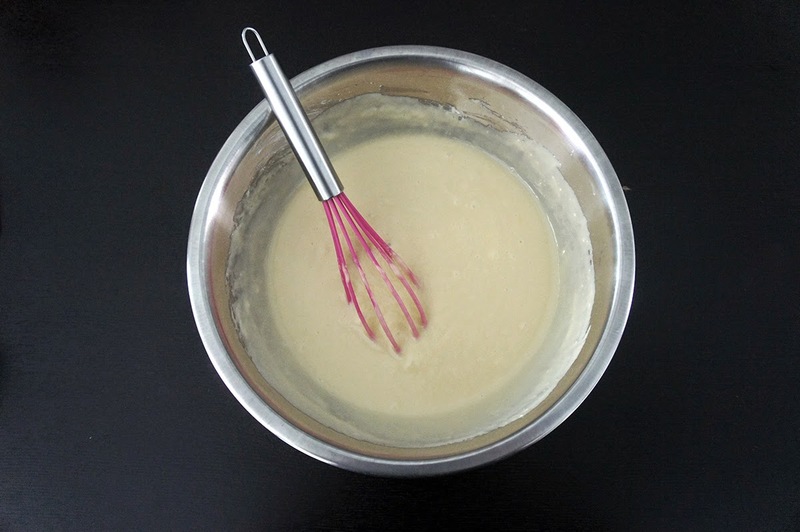 Allow the batter to ferment for 2 hours before cooking. 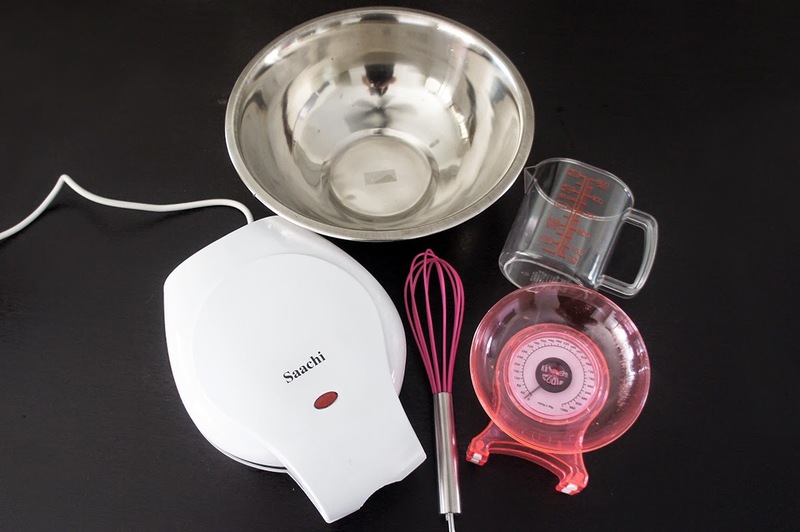 These are the tools I had used to make the mini donuts. I think the weighing scale can be thrown away after this one time. Very inaccurate. I kinda think that my proportion of the ingredients are measured very wrongly. ... and stirred well, I hope. Hahaha manual mixing won't be as good as using an electronic mixer. So now we have to leave the batter to ferment for two hours. After two hours, it's time to work. 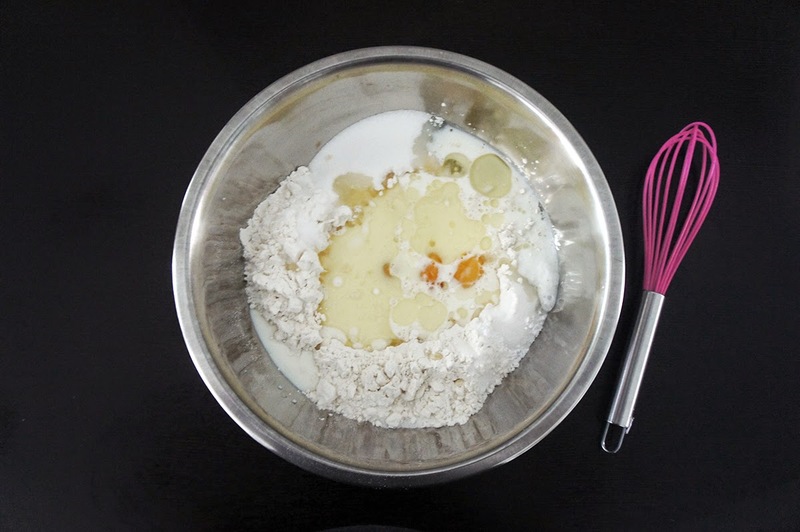 Fill each mould with the batter and close the lid. 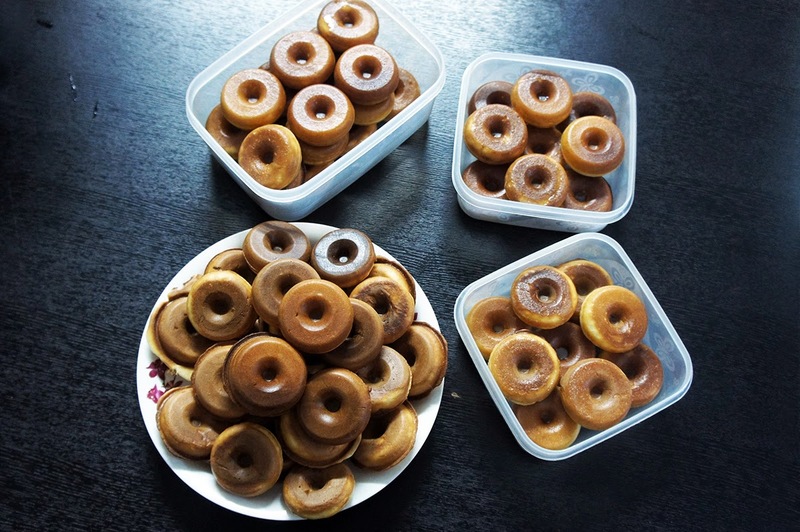 Mini donuts will be ready in less than 3 minutes. The better looking donuts from the top. The bottom side actually looks nicer. Haha.. Flipped all the donuts over. Wouldn't you agree that the bottom side looks better? The better ones were sugar glazed and ready for "takeaway". We tried spreading Nutella over some, but the outlook is not very appetizing and looks messy. Amazingly. the batter makes around 74 mini donuts. The batter can make even more, but we lost count of how many we tested and I poured too much batter in some moulds, making oversized minis. The baking time taken to complete the batter is around 2 hours.